BC35 - 5.0 X 3.2 X 1.2 mm. 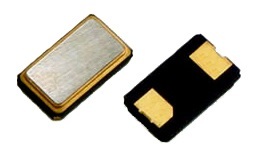 The BC35 series is an ultra miniature ceramic surface mount (smd) crystal, measuring 5.0x3.2x1.2mm. Ideal for circuits with minimal space. Possible applications include bluetooth, mobile phones, portable PCs, USB interface cards and wireless communications. Fundamental frequencies to 54 MHz.